Pietro Paolo Savorgnan di Brazzà, then known as Pierre Paul François Camille Savorgnan de Brazza (French pronunciation: ​ [pjɛʁ savɔʁɲɑ̃ də bʁaza] ; 26 January 1852 – 14 September 1905  ), was an Italian explorer. With the backing of the Société de Géographie de Paris, he opened up for France entry along the right bank of the Congo that eventually led to French colonies in Central Africa. His easy manner and great physical charm, as well as his pacific approach among Africans, were his trademarks. Under French colonial rule, the capital of the Republic of the Congo was named Brazzaville after him and the name was retained by the post-colonial rulers. The great Congo River, formerly known as the Zaire River under the Mobutu regime, is the second longest river in Africa, shorter only than the Nile, as well as the second largest river in the world by discharge volume, following only the Amazon. It is also the world's deepest recorded river, with measured depths in excess of 220 m (720 ft). The Congo-Lualaba-Chambeshi River system has an overall length of 4,700 km (2,920 mi), which makes it the world's ninth-longest river. The Chambeshi is a tributary of the Lualaba River, and Lualaba is the name of the Congo River upstream of Boyoma Falls, extending for 1,800 km (1,120 mi). 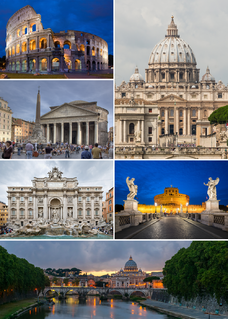 The Papal States, officially the State of the Church, were a series of territories in the Italian Peninsula under the direct sovereign rule of the Pope, from the 8th century until 1870. They were among the major states of Italy from roughly the 8th century until the Kingdom of Piedmont-Sardinia unified the Italian Peninsula by conquest in a campaign virtually concluded in 1861 and definitively in 1870. At their zenith, the Papal States covered most of the modern Italian regions of Lazio, Marche, Umbria and Romagna, and portions of Emilia. These holdings were considered to be a manifestation of the temporal power of the pope, as opposed to his ecclesiastical primacy. Louis Raymond marquis de Montaignac de Chauvance was a French naval officer and politician. He served as naval minister from 1874 to 1876. Antoine-Alfred Marche was a French naturalist and explorer. He visited Africa, the Philippines and finally the Mariana Islands. He made collections of various artifacts. He made a large collection of bird specimens from the Marianas between 22 April 1887 and May 1889 and some of them included new avian species. Laptots were African colonial troops in the service of France between 1750 and the early 1900s. The flag of France is a tricolour flag featuring three vertical bands coloured blue, white, and red. It is known to English speakers as the French Tricolour or simply the Tricolour. The Tricolour has become one of the most influential flags in history, with its three-colour scheme being copied by many other nations, both in Europe and the rest of the world. The French Congo or Middle Congo was a French colony which at one time comprised the present-day area of the Republic of the Congo, Gabon, and the Central African Republic. By 1905, stories had reached Paris of injustice, forced labour and brutality under the laissez-faire approach of the Congo's new governor, Emile Gentil, to the new concession companies set up by the French Colonial Office and condoned by Prosper Philippe Augouard, Catholic Bishop of the Congo. Brazza was sent to investigate these stories and the resulting report was revealing and damning, in spite of many obstructions placed in his path. When his deputy Félicien Challaye put the embarrassing report before the National Assembly, the report was suppressed. The last tour of the Congo took a hard physical toll of Brazza, and on his return journey to Dakar he died of dysentery and fever (amid rumours that he had been poisoned). His body was repatriated to France and he was given a state funeral at Sainte-Clotilde, Paris, prior to interment at the cemetery of Père Lachaise. His widow, Thérèse, dissatisfied with the politicians' subsequent behaviour, had his body exhumed and reinterred in Algiers (capital of present-day Algeria). The epitaph for his burial site in Algiers reads: "une mémoire pure de sang humain" ("a memory untainted by human blood"). In February 2005 Presidents Nguesso of Congo, Ondimba of Gabon and Chirac of France gathered at a ceremony to lay the foundation stone for a memorial to Pierre de Brazza, a mausoleum of Italian marble. On 30 September 2006, de Brazza's remains were exhumed from Algiers  along with those of his wife and four children. They were reinterred in Brazzaville on 3 October in the new marble mausoleum which had been prepared for them and had cost some 10 million dollars. The ceremony was attended by three African presidents and a French foreign minister, who paid tribute to de Brazza's humanitarian work against slavery and the abuse of African workers. 1 2 3 Hodge, Carl Cavanagh, ed. (2008). Encyclopedia of the Age of Imperialism, 1800-1914: A-K. Greenwood Publishing Group. p. 106. 1 2 Berny Sèbe (2015). Heroic Imperialists in Africa: The Promotion of British and French Colonial Heroes, 1870-1939. Oxford University Press. p. 304. ↑ "Vita - Pierre Savorgnan de Brazza". ↑ Sèbe. Heroic Imperialists in Africa. p. 149. ↑ Mavor, Carol (2012). Black and Blue: The Bruising Passion of Camera Lucida, La Jetée, Sans Soleil, and Hiroshima Mon Amour. Duke University Press. p. 176. ↑ Anthony Appiah; Henry Louis Gates (2010). Encyclopedia of Africa, Volume 1. Oxford University Press. p. 205. ↑ Daniel Ligou (2011). Dictionnaire de la Franc-maçonnerie (in French). Presses Universitaires de France. p. 163. ↑ Laurent Kupferman; Emmanuel Pierrat (2012). Ce que la France doit aux francs-maçons (in French). éditions Grund. ↑ Jean Massicot (2010). La franc-maçonnerie (in French). édition Desnoël. p. 26. 1 2 Pourcher, Yves (Spring 2012). "Laval Museum". Historical Reflections. 38 (1): 105–125. doi:10.3167/hrrh.2012.380108. One day, the Count told me he had made a discovery of some papers that Josee had gathered about his parents, the Chambruns, and Pierre Savorgnan de Brazza, his paternal uncle. ↑ Africa explorer's remains exhumed, BBC News, 30 September 2006. ↑ Brea, Jennifer (9 October 2006). "Congo-Brazzaville: Should a Colonizer Be Honored Like a Founding Father?". Global Voices. Retrieved 13 September 2018. The Ogooué, some 1,200 kilometres (750 mi) long, is the principal river of Gabon in west central Africa and the fourth largest river in Africa by volume of discharge, trailing only the Congo, Niger and Zambezi. 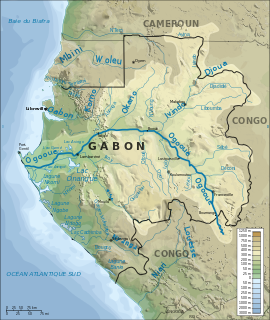 Its watershed drains nearly the entire country of Gabon, with some tributaries reaching into the Republic of the Congo, Cameroon, and Equatorial Guinea. 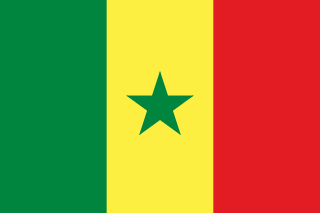 The Teke people, or Bateke also known as the Tyo or Tio, are a Bantu Central African ethnic group that speak the Teke languages. Its population is situated mainly in the Democratic Republic of the Congo, the Republic of the Congo and with a minority in Gabon. Omar Bongo, who was President of Gabon in the late 20th century, was a Teke. Lambaréné is a town and the capital of Moyen-Ogooué in Gabon. With a population of 38,775 as of 2013, it is located 75 kilometres south of the equator. Dolisie, known as Loubomo between 1975 and 1991, is a city in the western province of Niari in the Republic of the Congo. It is the country's third largest city, and an important commercial centre. The city lies on the eastern edge of the coastal rainforest, and has a population of 83,798. The Pineton de Chambrun is a French aristocratic family, of which several members have taken an important part in French politics. Their nobility was proven in 1491. The Pineton de Chambrun originally come from the Gévaudan region, and many members were mayors or deputies of Lozère. Malamine Camara was a Senegalese sergeant in the French colonial army, and a key figure in the extension of French colonial rule in the Congo Basin. The Anziku Kingdom, also called the Teke Kingdom, the Tyo Kingdom or Tio Kingdom, was a pre-colonial West Central African state of modern Republic of Congo. 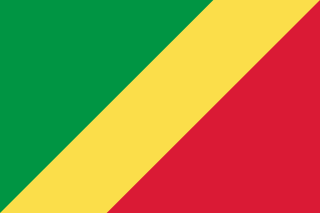 Franco–Congolese relations refers to the current and historical relationship between the French Republic and the Republic of the Congo. France maintains an embassy in Brazzaville and a consulate in Pointe Noire. France controlled the Republic of the Congo as a colony from the 1880s until the Congo's independence in 1960. Following the collapse of communism worldwide, France has become Congo's most significant external trading partner. Media of the Republic of the Congo are severely restricted by many factors, including widespread illiteracy and economic underdevelopment. Fortuné Charles de Chavannes, born 19 May 1853 in Lyon and died 7 February 1940 in Antibes, was a French colonial administrator. 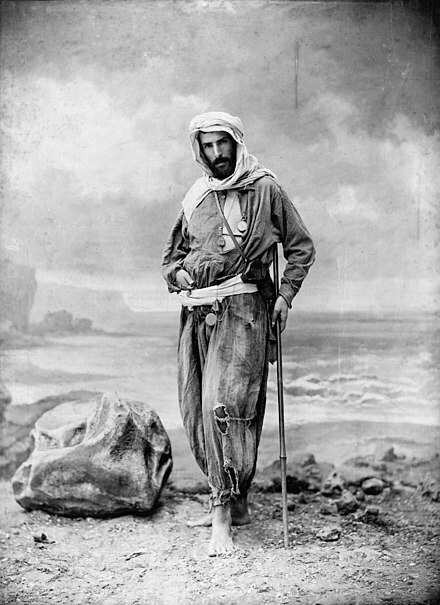 He accompanied Savorgnan de Brazza on the Mission de l'Ouest africain from 1883 to 1886, and participated in the exploration and establishment of French Congo. The following is a timeline of the history of the city of Brazzaville, Republic of the Congo. Paul Bourdarie was a French explorer, journalist, lecturer and professor. He became known as a specialist in colonial topics and gave lectures on subjects such as growing cotton and domesticating African elephants. He believed in a liberal policy regarding the indigenous people of the French colonies. Bourdarie was one of those responsible for founding the Grand Mosque of Paris. Wikisource has the text of the 1911 Encyclopædia Britannica article Brazza, Pierre Paul François Camille Savorgnan de . Wikimedia Commons has media related to Pietro Savorgnan di Brazza .